Dr. Christian Charlton has rejoined our ER team after running his own emergency facility in his hometown of New Orleans for the last couple of years. He originally came to GSVS in 2012 for advanced training in Emergency and Critical Care. He then continued that training at The Animal Medical Center in Manhattan. Dr. Charlton is a graduate of the University of Georgia (Go Dawgs!) and gained his DVM degree at Louisiana State University School of Veterinary Medicine in 2005. Before becoming a veterinarian, Dr. Charlton enjoyed his ‘first career’ as an avid snowboarder – riding mountains in Western U.S.A. and down under in New Zealand – and a bartender (to pay the bills!). He is excited to be back at the Jersey Shore to rejoin the GSVS family and their multiple facilities. 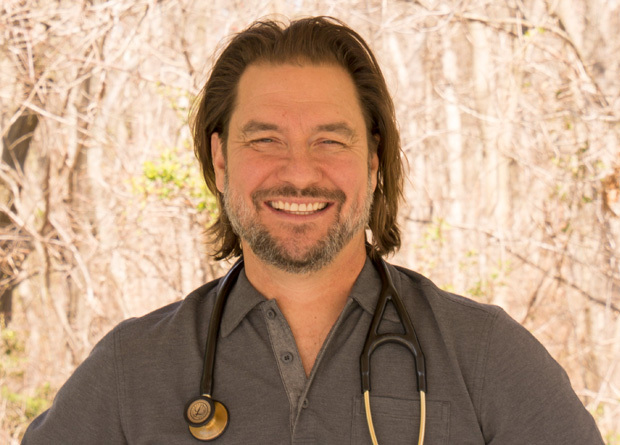 Dr. Charlton’s interests in Emergency Medicine include acute trauma patient stabilization, management of small animal intoxications, and respiratory emergencies. His 2 dogs – Ebby & The Dude – as well his cat Ghost have all transitioned well to life at the Shore.